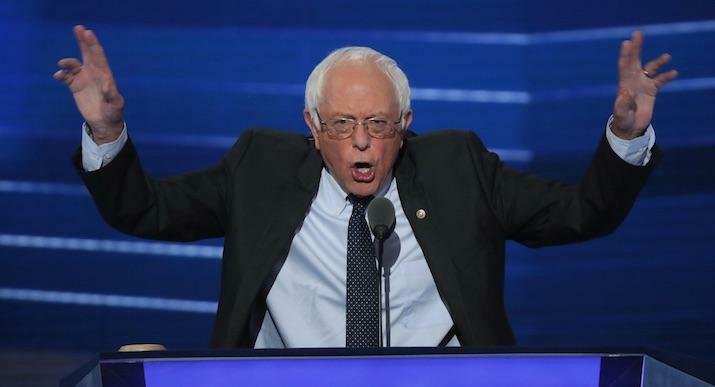 Home Depot Founder: Billionaire-Bashing Bernie Sanders "Is The Antichrist"
In Bernie Sanders’ socialist view, “the billionaire class” is the greatest threat facing the world. Ken Langone, 82, investor, philanthropist and founder of Home Depot , has written an autobiography that actually conveys the excitement of business - of starting an enterprise that creates a job that creates a family, of the joy of the deal and the place of imagination in the making of a career. Its hokey and ebullient name is “I Love Capitalism” which I think makes his stand clear. Why did he write it? I asked him by phone. He wanted to show gratitude, to inspire the young - “If I can make it, everyone can!” - and he wanted young voters to understand socialism is not the way. The wealthy have an absolute obligation to help others: “Where would we be if people didn’t share their wealth? I got 38 kids on Bucknell scholarships. They’re all colors of the rainbow; some are poor kids, rough around the edges. It’s capitalism!” He famously funds NYU/Langone Medical Center. There’s no doubt that Bernie Sanders’ view of the world is popular, especially with young people who like the idea of free college and free health care. But someone has to make the case that the billionaires like Ken Langone have produced something other people want. This is the thing about big business that Bernie Sanders doesn’t seem to get. No one was forced to make Ken Langone a billionaire. He became a billionaire because he offered people something they found valuable. If you take him out of the picture, you’re also taking something away from all of his customers, i.e. millions of regular people who definitely aren’t billionaires. It’s easy to rail against the billionaire class as the enemy of humanity, it’s harder to argue we should do away with Home Depot.